In one of his World Youth Days homilies, Pope Francis told the throng of enthusiastic young adults that he wants “a mess”. “I want trouble in the dioceses!” he exclaimed. The participants embraced his words, reacting with the customary jubilation we have come to expect every time the Holy Father addresses the crowds. The Holy Father was encouraging the youth to go out and spread the Gospel. As a mom of young adults, I am excited at the thought of my children’s generation going out and evangelizing but at the same time, I’m cautiously optimistic. As a catechist of young children in my parish, I am all too aware of how weak most families are in properly teaching their children about the Catholic faith. Many Catholic schools are not much better and if homilies are lacking in solid catechesis, then the Catholic faith we are handing on to our children isn’t complete. At best, it’s a “feel good” type of religious instruction without any substance and weight for when life gets tough. At worst, it’s something largely unrecognizable from Magisterial teachings or condemns anyone who doesn’t share Catholic beliefs. My concern is that eager but improperly formed youth will evangelize an improperly formed faith. In a guest column for Catholic News Agency, Alice von Hildebrand writes that “one of the biggest lies clearly propagated in our society is that a precondition for universal peace and harmony is that people refrain from proclaiming that they know ‘the truth.’” (A Plea: Back to Socratic Paganism. Catholic News Agency. July 26, 2013) Objective truth is not a popular concept. Anyone who doesn’t subscribe to relativistic, pick-and-choose morality is considered narrow-minded and behind the times. Unfortunately that mentality is flourishing in some Catholic circles and is being handed down to our children, including the ones who have been instructed to “mess” up their dioceses. Are we teaching our kids to seek objective truth despite its unpopularity? Are we instructing them correctly in the beautiful, timeless teachings of the Catholic Church? There’s too much evidence to say that many of us are not doing our job. Objective, unadulterated, authentic Truth is what our youth need to encounter. Von Hildebrand goes on to write that “once we recognize that Truth is incarnated in a Person, the only adequate response is ‘adoration'”. Adoration – profound love of God that leads to submission to Divine Will – enables us to discern correct Magisterial teaching from man-made interpretation and to know and love the fullness of the Faith instead of picking and choosing. When our youth fully understand that, they will be a powerful force for spreading the Good News. Making a “mess” has to start with parents, catechists, clergy, religious, teachers – all of us charged with imparting the fullness of the Faith to our children. But before we can hand down the beauty and teachings of Holy Mother Church, we first need to know and integrate them in our lives. Then we can transmit them. We owe it to ourselves to fully live out our Faith and we owe it to our youth to equip them with the proper tools of evangelization. 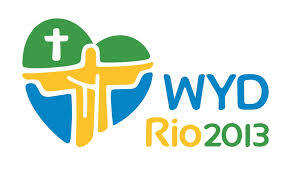 The WYD participants are brimming with energy, hope, optimism, and ideas. With the proper equipment – the right knowledge of the Catholic faith and a burning desire to defend Her -they will be unstoppable. If we teach them well, our young people won’t just “mess” up our dioceses, they will “mess” up the whole world. Terry McDermott blogs at http://8kidsandabusiness.wordpress.com. She has been married for 27 years to a man of great integrity and is the proud, tired mom of 6 young men and 2 beautiful young women, ages 24 – 10. She enjoys being her parish’s First Communion catechist. She is a Registered Nurse and a nurse-entrepreneur owner of a nursing foot care business. St. Joseph, St. Therese, St. Gianna, St. Monica and St. Camillus de Lellis are her go-to saints, along with Our Blessed Mother. She tries to live a life centered on the Gospel through prayer and service. In all things, she strives to be grateful to God and reminds herself daily that “everything is grace” (St.Therese).